Sarasota based Murray homes has just won a bronze award for its latest promotional video. The video was collaboratively produced by the Murray team, Be Creative Studios and Mars Vision Productions. The three minute piece focused on Murray’s incredible new build and remodel portfolio, plus tie ins to its own in-house real estate team and broad client base in local, national and international markets. 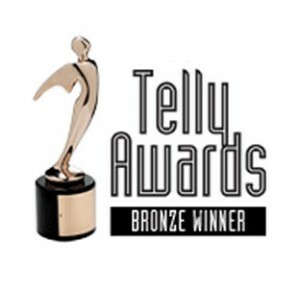 The Telly Awards is the premier award honoring the finest film and video productions, groundbreaking web commercials, videos and films, and outstanding local, regional, and cable TV commercials and programs. The 33rd Annual Telly Awards received over 12,000 entries from all 50 states and 5 continents. Murray Homes is an industry leading builder of luxury waterfront custom homes in Sarasota, Florida.